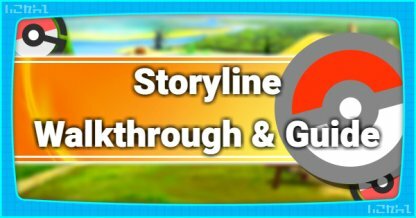 Check out this guide for a full storyline walkthrough up to Misty & Cerulean City Gym of Pokemon Let's Go Pikachu / Eevee, including gameplay tips, guides, and more! 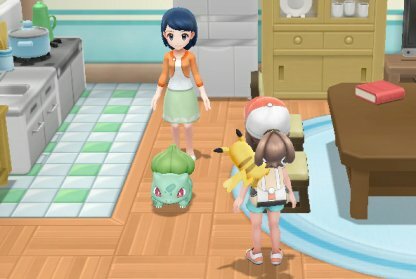 Grass Type Pokemon like Bulbasaur are especially weak to Bug Pokemon. It also has weaknesses to Fire, Ice, Flying and Psychic Types. 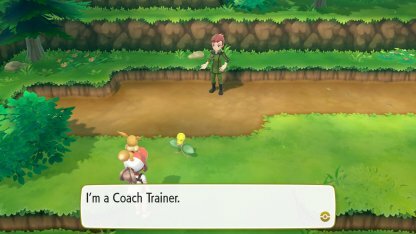 You have the option to fight the Coach Trainer you meet by the entrance of Mt. Moon. 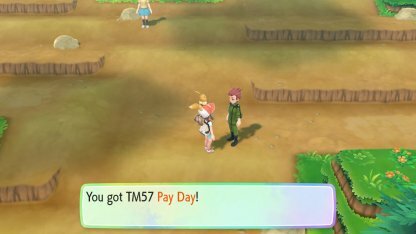 You'll receive the TM57 - Pay Day when you beat him. Electric Type Pokemon are weak against Ground Pokemon. A Geodude or Diglett will be effective against him. When you defeat Super Nerd, he'll give you one of two fossils. 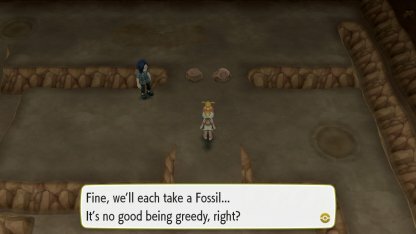 The Dome Fossil can be regenerated into Kabuto and the Helix Fossil can be regenerated into Omanyte. 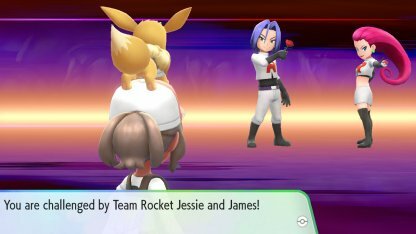 Jesse & James will have two Pokemon - Lv.12 Koffing & Lv. Ekans. They have weaknesses against Ground, Bug, and Psychic Types. The travel from Mt. 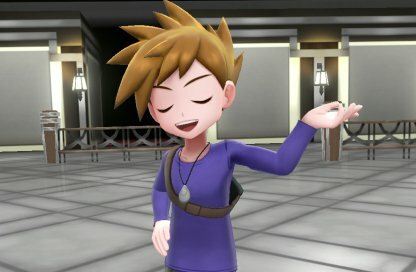 Moon to Cerulean City through Route 4 is not that long. Keep heading east until you reach the city. 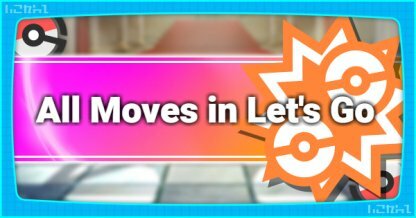 If you've captured 30 Pokemon, head into the house to the left of the Pokemon Center in Cerulean City. A woman with a formerly injured Bulbasaur will hand it over to you. 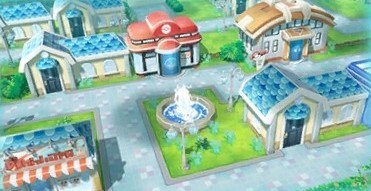 You can throw up to 500 into the fountain in front of the Pokemon Center in Cerulean City. 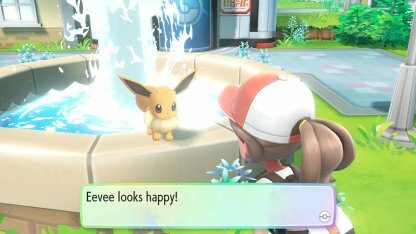 This will affect your partner Pokemon's mood and make them happy. 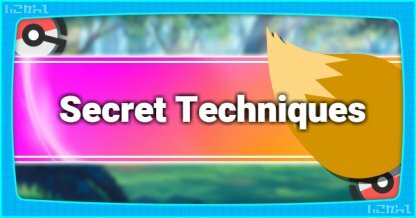 You will need to have a Pokemon with Level 15 or higher to be granted access to the Cerulean Gym. 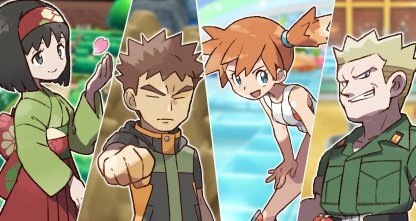 The 3 Beauties of Cerulean City Gym have Lv.16 Water Types. 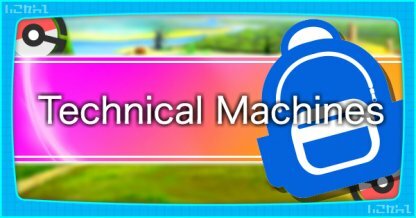 They are weak against Electric & Grass Pokemon so use these types against them. 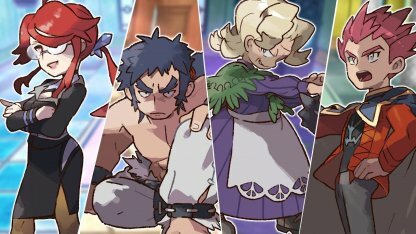 Misty will have Lv.18-19 Water Type Pokemon in her party. It's best to exploit their Electric & Grass Type weaknesses to defeat her easily. 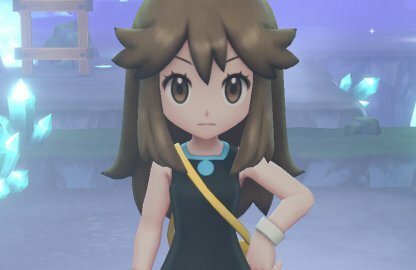 After defeating Misty at Cerulean City Gym, she'll give you TM29 - Scald. This shoots hot water on opponents that may cause burn. Check Out TM29 - Scald Here! 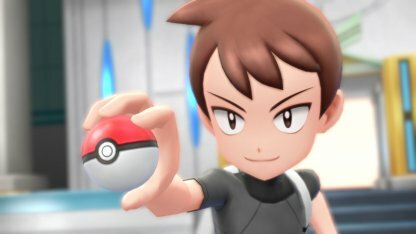 Next Walkthrough: Vermilion City Gym!